After weeks of peaceful protest, the Catholic University of Detroit Mercy has removed two links to abortion provider Planned Parenthood that were listed on its web site. "I'm very happy to verify that the links to Planned Parenthood were deleted," said TFP Student Action director John Ritchie. "Over 11,500 students, parents and pro-life advocates participated in this prayerful protest, calling for the removal of these scandalous links." "TFP Student Action is grateful to everyone who made this victory for moral values happen," he said. "Their prayers and peaceful action was vital and their participation will continue to play a central role in the future as the spiritual crusade on college campuses continues." Although the links to Planned Parenthood were removed, links to a pro-abortion group called the National Organization for Women (NOW) were not taken down as the TFP protest petition politely requests. Sister Margaret A. Farley: Wolf in nun's clothing? 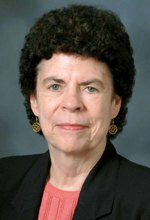 Even more troubling is the discovery that a pro-abortion nun, Sister Margaret A. Farley, RSM is a member of the Board of Trustees at Detroit Mercy.